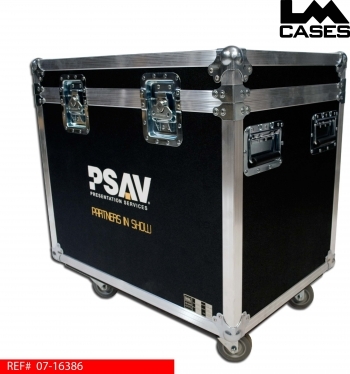 This case was built for Presentation Services (PSAV). The case is built from 3/8" plywood and features a removable tray also built from 3/8" plywood. The case is designed to hold 6 Chroma Q Color Force 12 light fixtures in a custom CNC cut foam insert. The accessories that go with the lights are designed to be transported in the tray. 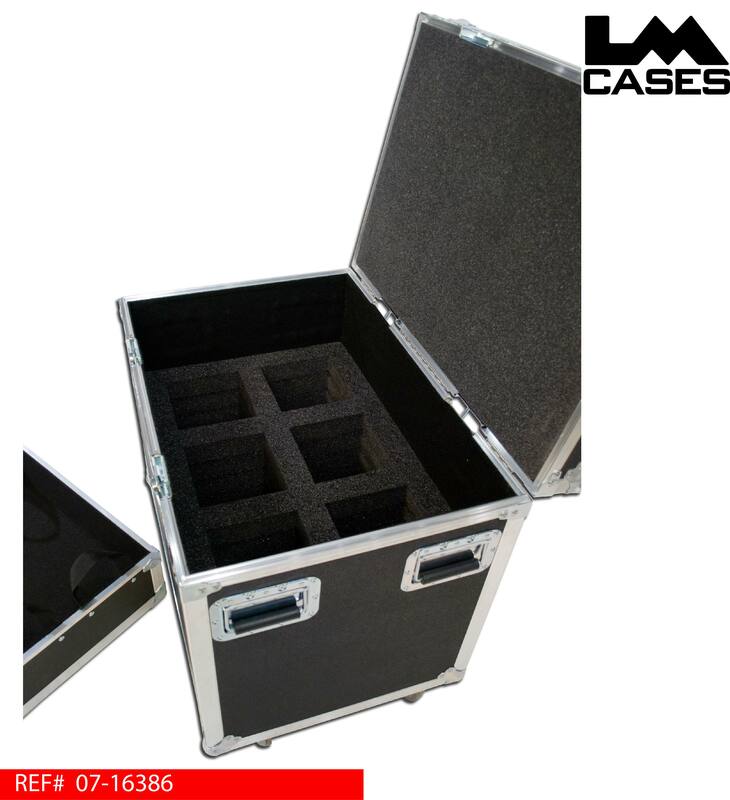 The case features a two color silkscreen of the companies logo, stacking caster wells, recessed lid stays and 3.5" Colson casters. 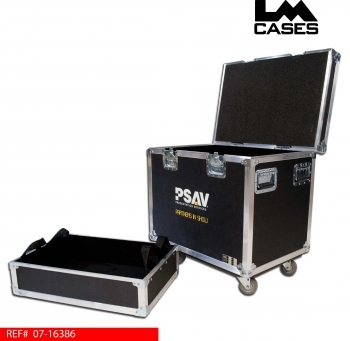 This case also features a custom ID tag that shows the LM part number as well as internal PSAV information to make internal ID and tracking easy.